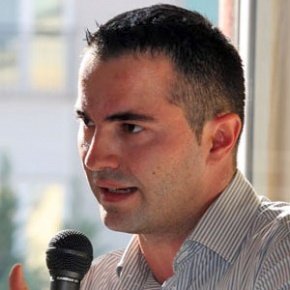 Eglinor Ramaj, currently Acquisitions & International Business Manager at Digit-Alb SH.A, the biggest Albanian based Pay TV operators, has seen the development and has been an active part of the Pay TV industry in Albania and Kosovo since its early beginnings in 2003. He has been one of the first people to start up the DTT and DTH Platform “Digit-Alb” back in in 2004 and now the company is the biggest Pay TV in Albania and one of the biggest in the Balkans, numbering more than 400 employees. Eglinor is considered to be the pioneer of the TV rights business in the territory, Sport Production & Distribution, Teleport services and also involved in the whole business development on behalf of “Digit-Alb”, home to the most of Albanian Pay TV audience in the region. Digit-Alb partners with the biggest studios like Walt Disney, Sony Pictures, Paramount, Warner Brothers, Universal etc, with the biggest sport event organizers and distributors like UEFA, CAA Eleven, TEAM Marketing, IMG, MP & Silva, Discovery – Eurosport etc and with the well-known Channel Distribution Groups such as Discovery Communications, Fox Networks Group, Viacom, Walt Disney, Turner etc. Technically Digit-Alb is supported by Eutelsat, Conax, Eriksson – Tandberg, Tivo-Cubiware, Quadrille, Kaon Media etc, promising to continue its success in the coming years and decades.